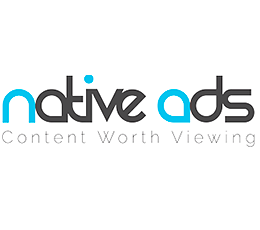 Native Ads Video, Text, Mobile, Native advertising network details. As one of the top native advertising platforms in the world, Native Ads is a bridge between advertisers, brands and agencies with publishers, networks and exchanges. Understanding we’re on a mission of building a better web, we replace disruptive display ads from your website with outstanding, attractive and relevant native ads. Our publishers enjoy the feature that they can create, configure and place native ad widgets on their site in just minutes. We want our publishers to earn as much as posible from their websites. Our creativity enables us to create excellent and trendy content, in-feed and enhance content widgets, ensuring our customers’s success. You can check Native Ads reviews on Affbank and ask Native Ads Team any question by using the contacts above, especially about how to earn money! There are absolutely no traffic restrictions. It's great.Any site having legal content can monetize with native ads. Also If my site was rejected for any reason I can apply for re-review Only thing is for me that - when I was a small blogger it was difficult to reach $100 threshold payout.